Why am I getting an error "Customer needs a label"? Why is an item marked as non-returnable? Why is Return Magic not loading? Portal error: "Unable to process this return"
Portal error: "Unable to find your order"
The item is tagged with a product tag from your list of exclusions (under Settings, under Rules > Product Exclusions). Note that if the item was tagged after an order is placed, the tag won't affect orders retroactively. In the same way, if you remove a tag from a product, it won't affect past orders that will still have this item marked as non-returnable. The item is marked as not shippable inside of Shopify. 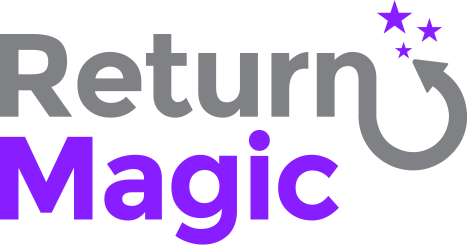 If that doesn't solve your issue, feel free to reach out to us at support@returnmagic.com with the return number and we'll take a look for you! Can I cancel or reverse a refund? How can I create an exception for my customer who is outside of my return window?